STEAM’s goal is to support the native creativity and innovation that all children possess. This book uses illustrated vignettes to narrate stories of infant and toddler STEAM concept explorations and bring out new possibilities for caregivers to uncover within their own environments. 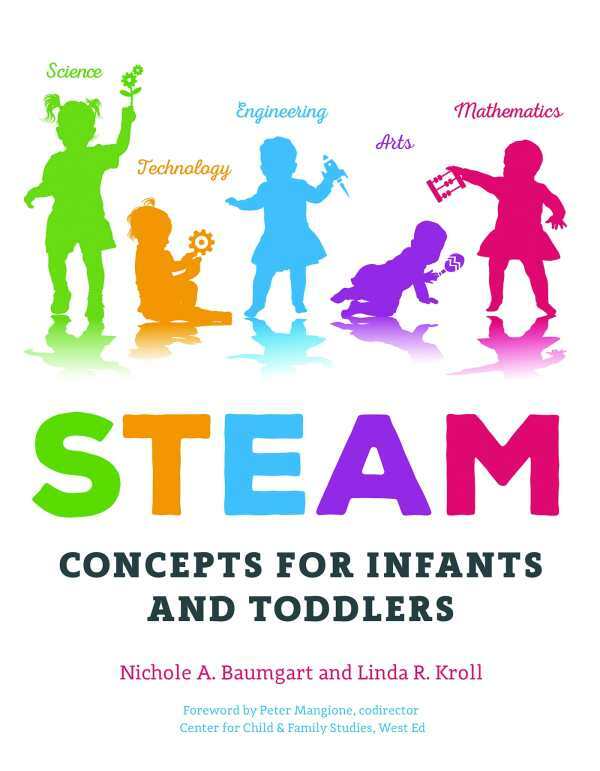 STEAM Concepts for Infants and Toddlers presents an inquiry stance for caregivers to consider their role and values that they hold in connection to STEAM concepts.